Why Are There Kids Here? 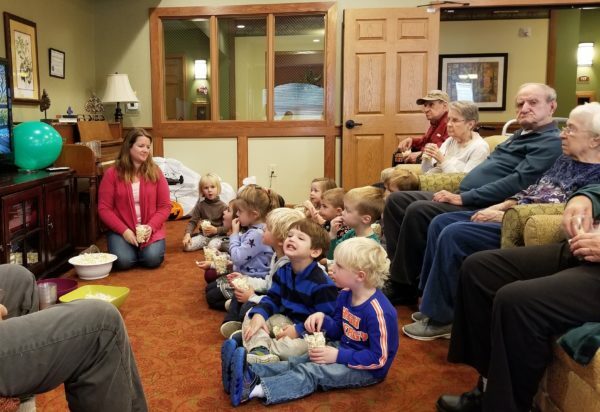 As part of our community, it is likely that All Seasons parents intuitively know in their hearts what many do not; for a young child, being in a space full of grandmas and grandpas can be a great asset. But it is a legitimate question and one that is asked frequently. Why did we put young children inside a building full of retired people? Conversely, the same can be said about the senior citizen side of the pairing. 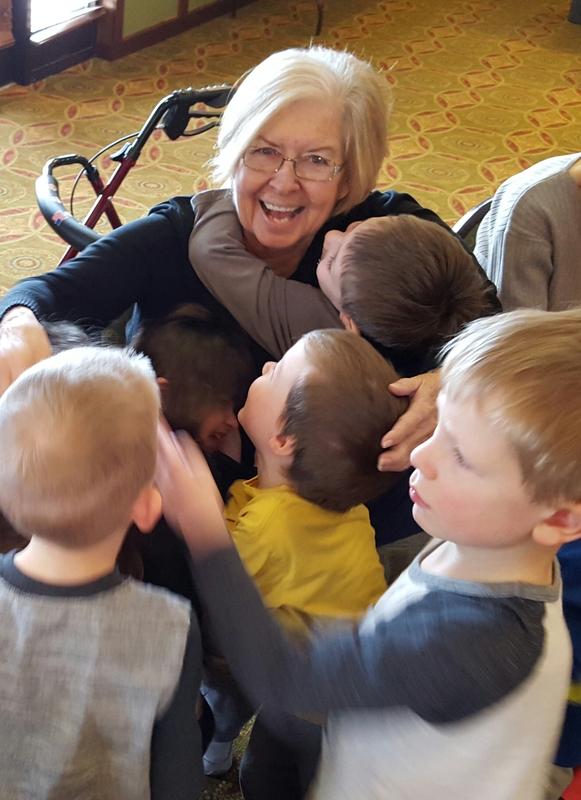 The presence of young children can be a treasure to seniors. Mary Pipher, clinical psychologist and cultural anthropologist, studied the social and emotional diseases of aging in the United States; diseases of the mind and heart, not the body. We live in a society that values independence and self-sufficiency. 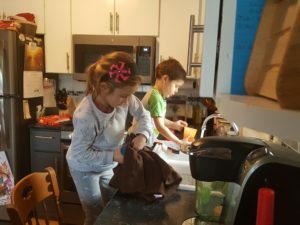 What happens in a dependent-phobic culture if you are an adult who needs help meeting their most basic needs like grocery shopping, preparing a meal or even going to the bathroom? You feel ashamed, you isolate yourself and become lonely and depressed. In “Another Country; Navigating the Emotional Terrain of our Elders,” Mary Pipher asked, “Under what conditions do children, families and communities thrive?” The answer? We all thrive in an authentic community. What do both groups, the very young and the very old, crave more than anything? They crave time, attention, and to know that they matter. 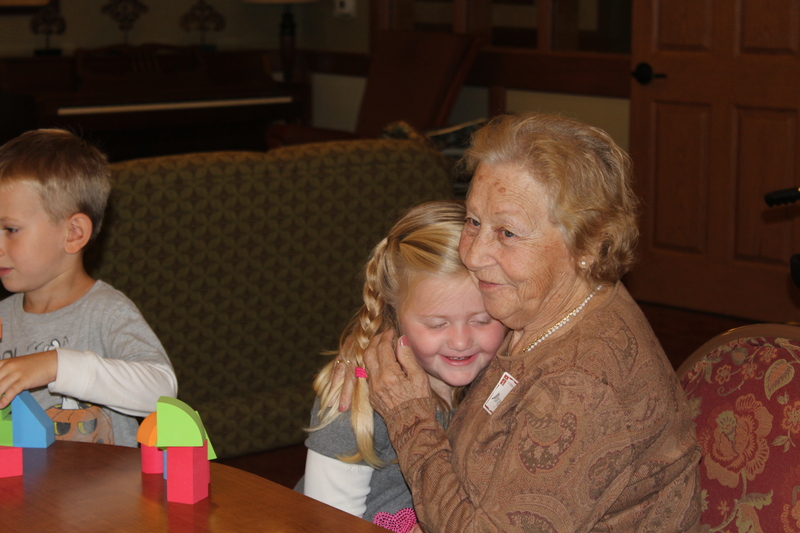 The beauty of intergenerational pairing is that the young and the old provide for each other what both groups need, and they are a perfect fit! With these similarities, we see in great and small, but most importantly, personal ways, the benefits of relationships that develop between the young and old. We see benefits for real people, many of them planned and expected, but many surprising and unexpected. So why are there kids here? 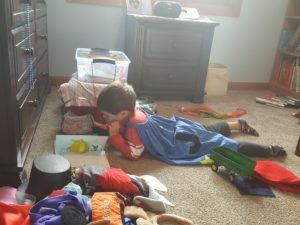 If you’re like me, these are among your most treasured memories from childhood – maybe it was an after school tradition or something you did when you were home from school, sick on the couch. No matter the occasion, I could not wait for the next episode. There is something so personal about “Mr. Rogers’ Neighborhood” and the way it approaches childhood. It is one of the most unique shows that I have ever seen, and it has been beyond wonderful to witness our young students and beloved seniors join the “neighborhood” together, as we watch episodes as part of our Friday morning popcorn tradition. It may be all of those things, but it may also be that we recognize that we are part of such a neighborhood ourselves.It’s because Grandma Ruth, who could barely walk herself to a chair one Friday morning, saw Mr. Rogers, and came to life. “I’m going to try that!” she said excitedly, as we watched him make spaghetti using a pasta maker. It’s because Grandma Lou, who often babbles incoherently, looked at one of the aids and said, “He’s talking to me!” when Mr. Rogers sang his welcome song. It’s because all of us teachers watch, with tears in the our eyes, as the children ignore their cups full of popcorn and watch, wide-eyed, as Mr. Rogers tells them to be brave. It’s extraordinary because, as an adult, I still watch the show and feel safe, calm, and cared for. 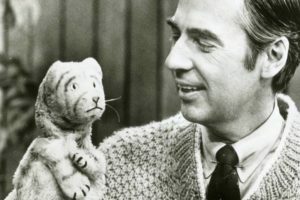 These are the reasons why “The Neighborhood of Make-Believe” continues to fill a special place in my heart – Mr. Rogers transcends time with his gentle presence and accepting messages and reaches all audiences.